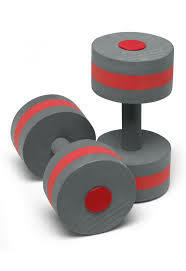 Very comfortable and easy to use; Excellent value for money. Ear plugs don't fall out from adults' ears. Soft, snug and provide a great watertight seal. Helps prevent swimmer's ears and other ear infections. Great ear plugs for eliminating loud noises! 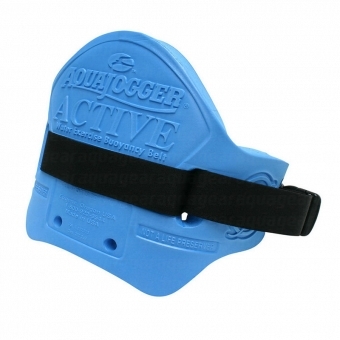 A great aid for underwater swimming, cold water swimming, snorkeling or diving. Not very kid-friendly, falls from the ears. 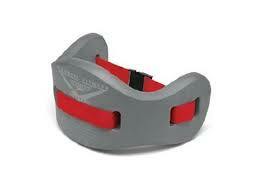 Uncomfortable when used with a swim cap. Blocks all sound and noise. This is the summary of consumer reviews for Mack's AquaBlock Earplugs. The BoolPool rating for this product is Excellent, with 4.50 stars, and the price range is $5-$7. Mack's AquaBlock Earplugs are pre-molded silicone earplugs that are soft, snug and provide a great watertight seal. Now you can plug out your swimmer ears' pain with these blocking aids! They help prevent surfer ears and other infections too. Not only do these plugs stop the water from entering the ears, they eliminate loud noises too. But if you are using them in the ocean or the sea, beware; you may not even hear the waves! The earplugs don't sit well in a kid's ears, as they fall easily but are a great fit for most adult ears. Many customers recommend purchasing the purple ear plugs in the place of the clear ones as the latter are easy to lose. Overall, you can lend your ears to these twin plugs as they are very comfortable, easy to use (if you follow instructions to the T!) and excellent value for money. 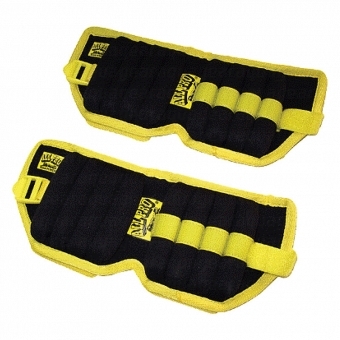 No water leakage Very comfortable and easy to use. These earplugs are great for lap swimming as well as open water swimming. No water leakage, comfortable and multiple seals. They're soft and comfortable and STAY IN while swimming! Well fitted and very easy to adjust and you feel very comfortable once you put on in the swimming pool. I swim a lot in cold water, so these are helpful items. these earplugs work--very comfortable, easy to insert and remove. These are great earplugs for swimming. I used them to swim across the lake (about a mile) and not a drop of water got in. I'm able to swim farther and longer because I don't have the discomfort of water in my ears. They're comfortable and don't leak. Very comfortable and do keep the water out. They stay in and keep the water out. 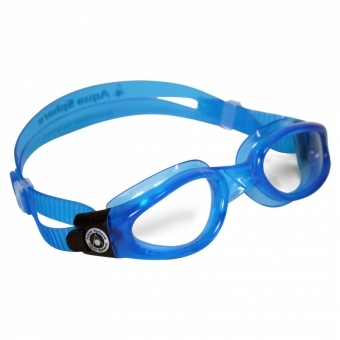 These are great for keeping the water out of your ears whether you're swimming, showering or other water activities. They work okay to keep out most of the water, but still a little gets in. I love these b/c they're sooo comfortable and keep all water out. I swim and they stay in and keep water out. These things not only keep water out but my wife was talking to me and I couldn't hear her!!!! they work good once in, however they're a little bit hard to get in just right but once in they keep the water out so no complaints here. Wow....that alone should be reason enough to get these but they do keep water out....if you go for that sort of thing. Only problem is that they keep most of the sound out as well. Ear plugs don't fall out for adults Not very kid-friendly, falls from the ears. I hate water in my ears after I swim. I'm always afraid that my ear plugs will fall out during Open Water swimming, but they haven't. water in your ears is no good. No water and discomfort in my ears at all. I tried using these under my silicone swim cap because water was still getting in my ears while using the cap. these are the first swimming plugs i've tried. They seem to keep water out, but fall out constantly from her brushing her hair away or jumping in the water. They block out water, but you can still hear. I got these so my daughter could go swimming without having issues with ear tubes. These ear plugs are very soft and comfortable; they feel great to the touch and in your ears. These ear plugs are soft and very comfortable and they work very well. 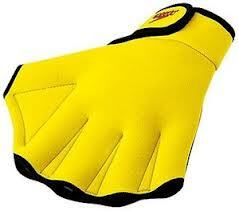 Very soft and comfortable, provide a good seal when swimming. Soft, comfortable, but airtight fit that kept the water out -- I was finally comfortable swimming laps again. Made of high quality gel, very soft and comfortable, better than any other ear plugs I've used in the past. - comfortable , no ear irritation. I've quite large ear holes apparently and have had problems with finding ear plugs that fit properly in the past. The material is soft and they go in out of my ears easily. 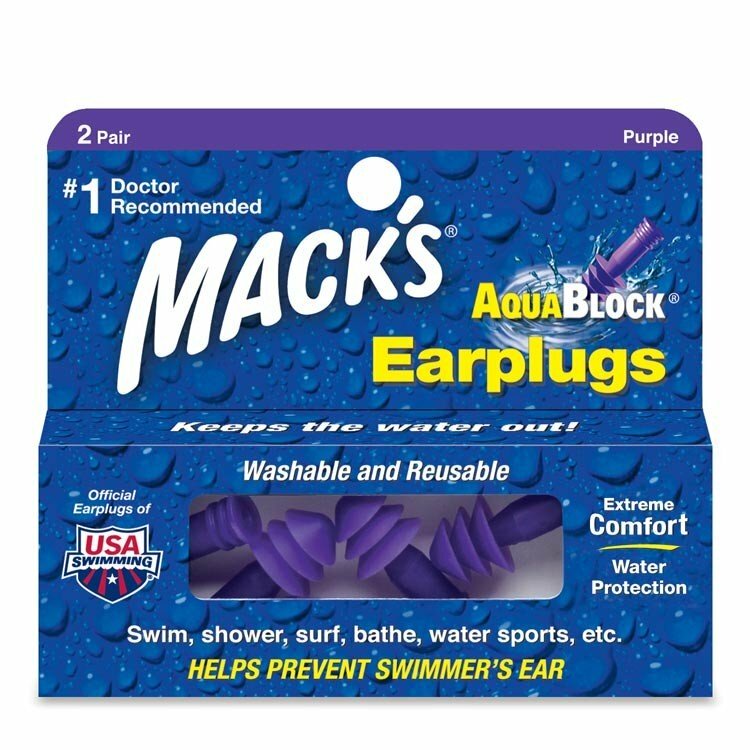 I've always had trouble with swimmers ear, and I just now got around to buying ear plugs. The seal is tight and comfortable. I swim laps regularly and want to avoid swimmer's ear. It stayed in my ear the whole time, and I no longer need to swim with a swim cap on. Before, I'd always swim with the silicon putty earplugs, along with a swim cap over my ears to keep water out. I don't have large ears, but they slip out when I'm underwater swimming. Now, I can swim without worry that water will enter my ear. I've got a perforated ear drum, so always suffer from earache after swimming. They stay in my ears for lap swimming at the pool and goofing around in the lake. However, the silicon putty would always come loose, and the swim camp under my ears was very uncomfortable. I never liked swimming because every year I'd get amnesia go for a dip forgetting that I always get swimmers ear and it totally ruins my life (first world problems I know), anyways since I've boughten these I can do laps in the pool without getting swimmers ear ever again. I use these earplugs mainly for lap swimming and they work well to keep water out of the inner ear. I'm sure that they work very well for the use of preventing water from entering the ear as well. I've an ear canal that doesn't seem to hold any type of ear plug (even my MP3's) well, so because these are so soft I can't work them far enought into the canal to stay put. These ear plugs work good for the purpose of eliminating noise when trying to sleep. These are great ear plugs. 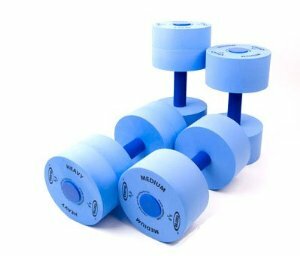 Blocks sound too, I've worn these for sleeping and they work well. It hasn't work well, the marker tends to lose the color. If you don't have that problem, they'RE very soft so should work well for a "normal" person. She'd tried several other brands but they didn't work out well. They seal well (I think they're intended for swimmers and bet they work well there too) and are yet soft enough to be comfortable for several hours of use. 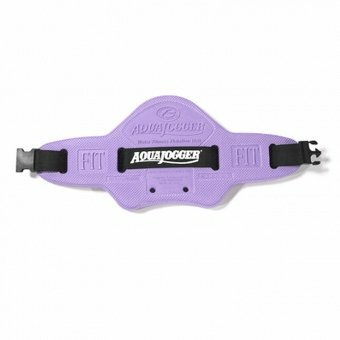 A great aid for underwater swimming. Bought the ear plugs because I've been getting ear infections from water getting in my left ear when doing laps. My son had surgery in both ears and we tried every type of ear plugs and band so water doesnt get inside his ears while bathing. For years, after I swam underwater, I'd suffer from having water clog my ears, or worse, swimmer's ear. They were comfortable to wear and kept the water out of my ears. I'm a regular swimmer and always my ears get water clogged. This helps me enjoy putting my head under the water without getting swimmers ear. They've never let a drop of water in my ears. I can't do much without getting water deep in my ear. He said with these, no water gets in his ear. I've tried many earplugs: mack's pillow soft ear plugs,mack's aquablock ear plug, howard leight aquaseal ear plug, and arena ergo liquid silicone ear plug. first time using aqua block ear plugs. So I switched to mack's aquablock ear plug, still does't fit, water leaks in. Although these plugs may sometimes feel as if they're falling out of your ears, I've yet to experience a time when the plugs actually fall off. The best plugs for swimmers. I've not been a swimmer long, so my experience with ear plugs is limited. They were fantastic, and resulted in no plugged up ears! Soft, comfortable and reasonably priced ear plugs Great tool for cold water swimming, snorkeling or diving. I definitely recommend these ear plugs for cold water swimming, or if you're prone to swimmmer's ear, since they do keep the water out very well. These ear plugs are great for keeping cold water out of my ears. Quality soft ear plugs feel are comfortable to wear and keep the water out. They worked 100% to keep water out of his ears while snorkeling and swimming. these plugs are long lasting and keep all the water out of my ears for swimming. Not a drop of water got in my ears, and I was able to swim without suffering from plugged ears for days afterward. I've tried a variety of ear plugs in the past few months and found that in most cases water still got through into my ear canal no matter how well the ear plugs fit. Easy to insert, comfortable, and no water in ears. These are soft, comfortable and reasonably priced ear plugs which are meant to keep water out of your ears but you can also use them to block some sound. Stays in your ears and keeps the water out.